As you all must have come across various news and rumors about the Sony Yuga and Odin in the past couple of months, now, the dimensions of the devices have leaked out. It looks like today's latest fashion in the smartphone market is dominated by the 5 inch-ers. Just a couple of days back, the HTC Droid DNA was launched. And, now we have news about Sony's Yuga and Odin. Firstly, Sony Yuga and Odin are the same devices except for the fact that the Yuga will be the Asian version, likely heading for Japan with its waterproof body, and the Odin will be the global edition of the 5-incher. The Sony Yuga is expected to be Sony's flagship device for the year 2013 and yes, a good competitor for the HTC Droid DNA. 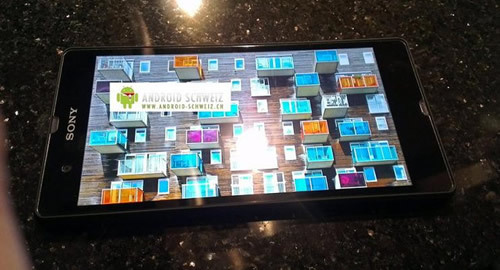 It will sport a 5 inch-ed 1080p display. Specs wise, it is expected to be powered by a 1.5GHz quad-core Qualcomm Snapdragon S4 Pro processor bundled up 2GB of RAM. It will also be equipped with the very impressive EXMOR CAMERA SENSOR which will be capable of recording 1080p HDR Videos. Under the hood, there will lie a 2400 mAh battery. According to latest leaks, the Sony C650X “Odin” is expected to be 131.6mm x 69.7mm x 9.8mm thick, and weighs only 5.04oz (147g). The Sony C660X Yuga is said to be taller but thinner at 138.6mm x 71mm x 8.1mm, and weigh only 140g, despite of it having a waterproof cover. The global Odin version is expected to be equipped with an IR blaster, like other Sony's Xperia tablets, for serving as your TV, home stereo's remote control device as well. That's quite impressive.. It seems that HTC has got some stiff competition. Let us see what happens. Keep reading for further updates. 0 Respones to "Sony's YUGA and ODIN Dimensions leak"